Making the transition from wunderkind to respected veteran is never an easy one in music, even for the most talented artists. For Conor Oberst, relinquishing for long periods of time his status as indie-rock’s most eloquent oversharer was his way of accomplishing this. By occasionally burying himself in a sea of genre experiments and side projects to cleanse his palette, he’s able to occasionally emerge from under those guises for a more pointed singer-songwriter statement every now and again. Upside Down Mountain is one of those statements, a dispatch on the “ennui of our times,” as Oberst puts it in one song (and, really, who else could pull off a phrase like that?) It is also one of his most consistently rewarding efforts since the heady early records. 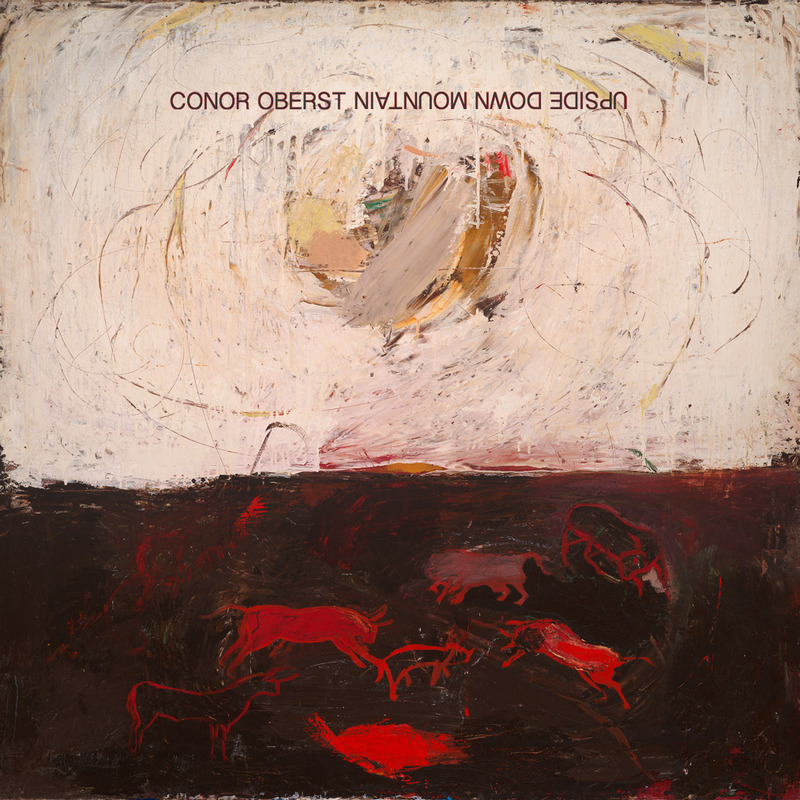 Conor sounds more relaxed than ever before, even as his lyrics suggest that consistent comfort in these turbulent times is nothing but a pipe dream. One area where Oberst has improved over time is his adherence to song structure. While his unhinged rants in the early days were undeniably impressive, there seemed to be little attention paid to arrangement or musical impact. On this album, uptempo tracks like “Zigzagging Toward The Light,” “Kick,” and “Enola Gay” have bite and punch, while mid-tempo first single “Hundreds Of Ways” has an island lilt that’s reminiscent of Paul Simon. Swedish duo First Aid Kit are also on board to help out in the catchiness department with their high-arcing harmonies. By contrast, Oberst has never needed assistance on the slow stuff, and that doesn’t change here. The lonely, affecting melodies of lost-love songs “Artifact #1” and “Night At Lake Unknown” are embellished by his evocative lead vocals; no one does weary dejection quite like him. Even the lighter moments are tinged with shadows. “Hundreds Of Ways” may feature buoyant music, but it takes place in the midst of crumbled cities and broken love. And Oberst turns the rock-lullaby cliché on its ear on “You Are Your Mother’s Child,” imagining his newborn skating through life’s milestones while wishing that the tyke escapes Daddy’s ill-advised tendencies. Upside Down Mountain ends with a one-two punch that you’ll want to put on constant replay. “Desert Island Questionnaire” starts with a hypothetical game but opens up into a desperate chorus, Oberst singing with the old quivering angst to his companion: “Everyone’s asleep in this burning building/And I can’t wake ‘em up in time.” That leads into “Common Knowledge,” the piercing glance turned inward, bittersweet couplets rolling off his tongue about the self-destructive impulses that constantly sabotage his better self. These are the kinds of songs and moments that make Conor Oberst a one-of-a-kind songwriter and performer. His search continues, even if he doesn’t come up for air that much these days to publicize it. Upside Down Mountain demonstrates that nobody articulates that search any better.